← Science Fiction: What to Watch? 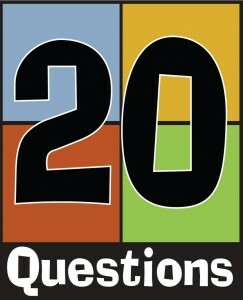 I’m going to answer 20 questions atheists struggle to answer , which were posted on the Christian Medical Comment blog by Peter Saunders. We don’t know. When I say know, I mean that science doesn’t have an answer to this question. If you believe that the universe was created by God, your belief is based on faith, not science. The fact that the universe just happens to have exactly the right properties to support life can be explained by the anthropic principle. Some would argue that it isn’t. I would say that once again, the anthropic principle explains why the universe is at least rational enough for humans to exist. We don’t know how DNA arose, though we do have experiments that show a way that amino acids could have. One of the good things about (good) scientists is that they are humble enough to admit when they don’t know the answer to something. The genomes of all life came about by evolution. This is well understood. The more primitive an animal is, the simpler it’s genome. We may not know how DNA came to be, but the evidence for evolution is solid. This is a mere repetition of questions 4 and 5. We don’t currently know how the enzymes involved in DNA replication evolved. All of the significant languages spoken in the world (those each spoken by at least 1% of the world’s population) are divided into only 15 different families. This seems straightforward to explain. Languages evolve over time. If the initial human populations who spoke migrated across the world, the populations that grew up would naturally evolve languages in different ways. Distinct language families could merely be the result of isolated populations that split when language was still very primitive. The rise of cities is coincident with the development of agriculture to the point where a surplus was being grown, enabling trade. Some of the simultaneity of the development can be explained by dispersion of new agricultural methods. If everyone thought the same, that would make us predictable, which might have given predators on early man an advantage. So independent thought could well be an evolved trait. Being able to reason about ones own actions is definitely an aid to survival, and therefore a trait that, once it emerged, would be selected for and amplified. We don’t know, and there are many who argue it is not. Even if you assume that there is no as yet understood material (or supernatural) principle that makes free will possible, it is fairly adequately explained by compatiblism. Conscience is the recognition of what we would not like done to ourselves. Like self awareness, empathy is a survival trait. Morals can be derived from first principles. For example, see Universally Preferable Behaviour. Suffering shows you that you need to do something, leave a situation, or accept what is. As stated by Victor Frankl, how you react to a situation is a choice. Some would argue that we don’t. I believe every person has the potential to improve the human lot in some way, and this give us all value. If you don’t care about justice for others, don’t be surprised when you are not given justice by others. There are a lot of stupid people. It’s natural to hope that there is something beyond death. There are still many things we don’t know. Maybe the supernatural is just an as yet unknown natural phenomena. We don’t. The evidence is against it. People have been trying to prove its existence since science began. Thus, non-existence of the supernatural is a sound scientific hypothesis, like the big bang theory. We don’t know. It is something that we currently have no evidence for. There is no direct evidence of an empty tomb. Resurrection appearances are not an uncommon phenomenon. How do you explain the growth of the Mormon church, which has grown at the same rate that the Christian church grew in the same amount of time? This entry was posted in philosophy and tagged amino acid, anthropic principle, atheism, compatiblism, conscience, evolution, genetics, language families, morality, resurrection, self-awareness, suffering, supernatural. Bookmark the permalink.